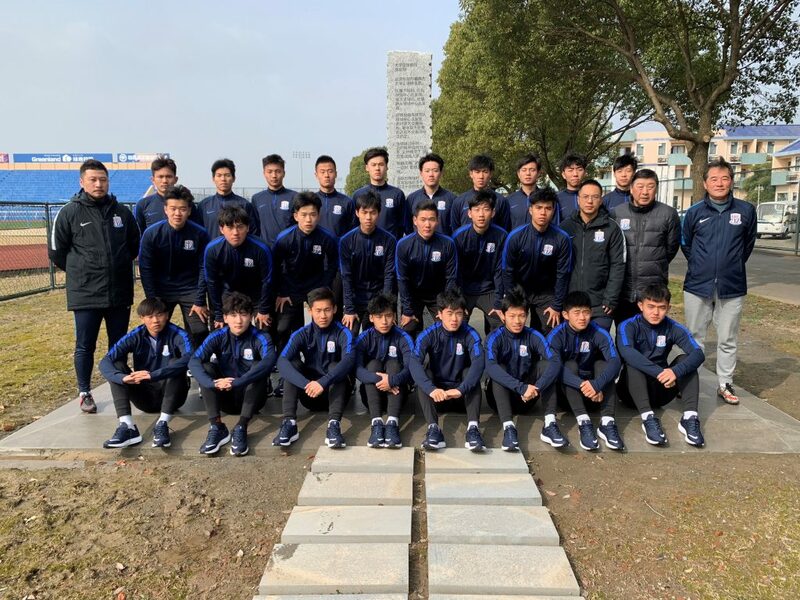 These players are the future of football in China, as part of the development squads they pose with the stone describing the first written rules on 1848. 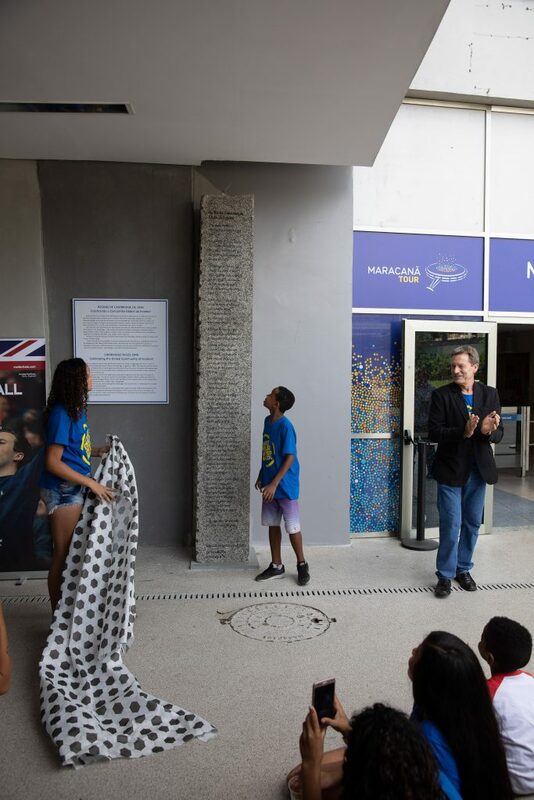 It’s one of the most legendary locations in sport, so Cambridge Rules 1848 is delighted that the first of five stones inscribed with the original rules of football that the project celebrates has been unveiled at The Maracanã Stadium in Rio de Janeiro, Brazil. 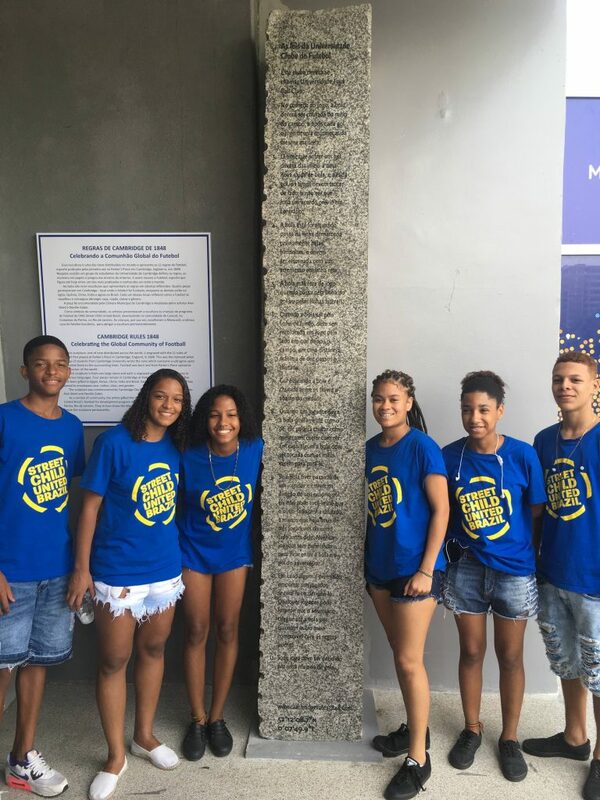 Young people from the Street Child United Brazil charity – which has its roots in Cambridge – unveiled the sculpture outside the Maracanã museum last week, before playing on the pitch which was the venue for the FIFA World Cup Final in 1950 and 2014.The stone, inscribed with the original Cambridge Rules in Portuguese, is part of the Cambridge Rules 1848 project commissioned by Cambridge City Council, in which a block of granite was split into nine pieces and etched with the original rules of football in many different languages. Four are now installed and enjoyed daily on Parker’s Piece in Cambridge, where the original rules were played to for the first time 170 years ago. 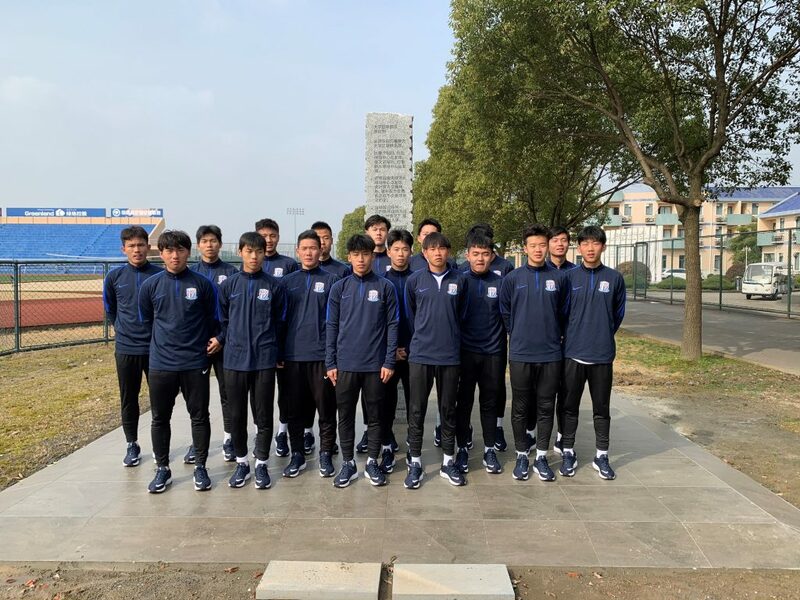 After the installation in Rio, there will be further events in Shanghai, Mombasa, Cairo and Chennai. 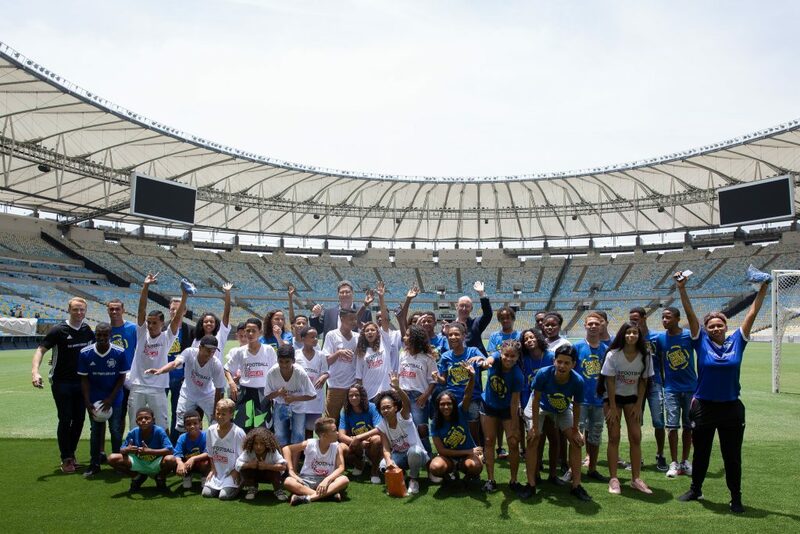 “Children have the honour of delivering this sculpture, a symbol that represents football all over the world,” said Adam Reid, CEO of Street Child United Brazil, which serves young people from the community of Complexo da Penha, in the north of Rio. 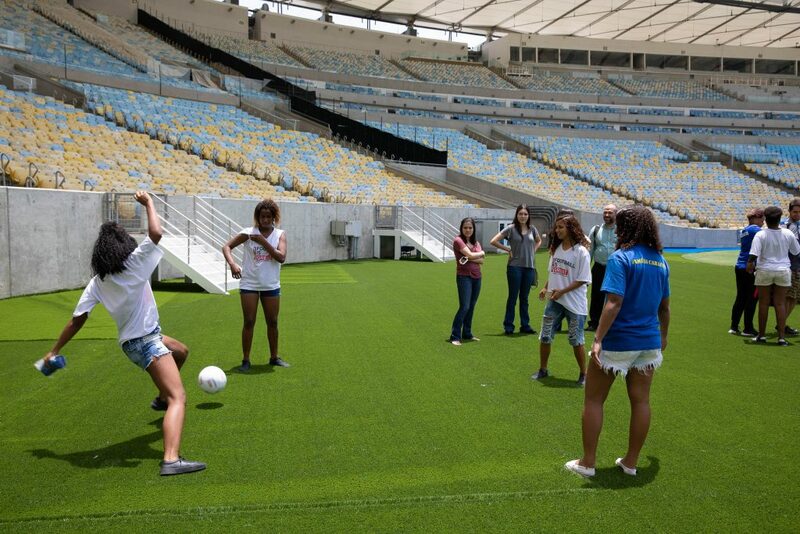 “It will proudly introduce you to the Maracanã and be witnessed by visitors from all over the world. 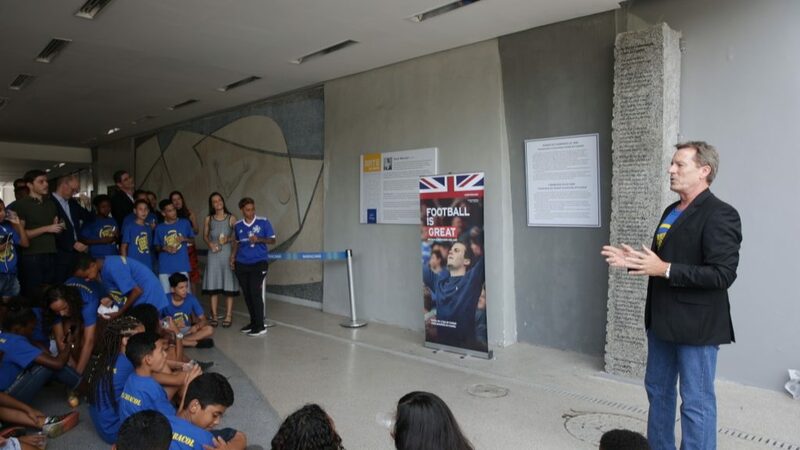 The sculpture in the Maracanã will be part of the itinerary of the stadium tour, which attracts more than 100,000 visitors each year, and at the unveiling the British Consul in Rio de Janeiro, Simon Wood, recalled that Brazil and the United Kingdom have a long and lasting relationship through football. 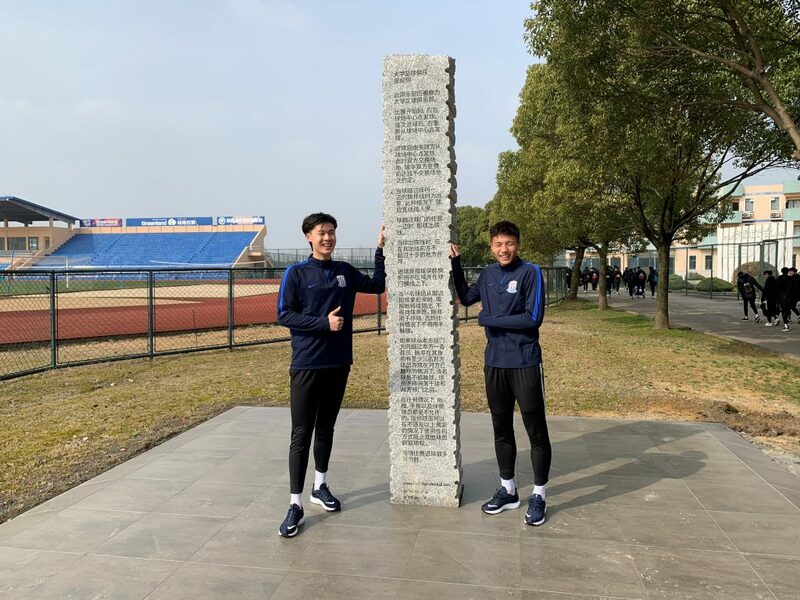 “That our sculpture should find a home in such an incredible location and be unveiled by children who are thriving through football is a complete honour,” added Cambridge Rules 1848 artists Alan Ward and Neville Gabie. “When we began the Cambridge Rules 1848 project it was all about celebrating how a simple set of rules for a game played on a patch of ground in Cambridge became a worldwide phenomena, embraced by diverse cultures across the world and enriching lives and understanding. What’s your favourite football story? Where do you watch – or play – the beautiful game? These are some of the intriguing questions an exciting new public art project is asking the world to answer, creating a truly global window on how football is experienced and has developed to become the planet’s favourite sport. Cambridge Rules 1848 this week launches a website at www.cambridgerules1848.com, on which people can leave their cherished stories of what makes the sport so special to them. Already, football fans from Buenos Aires to Preston have begun leaving images of their favourite ground, shirt – or even tattoo. The stories don’t necessarily have to be connected with the team you support – the intention is simply to gather together the world’s first archive of what football means to the masses. The Cambridge Rules 1848 website is a key part of a new public art commission by Cambridge City Council, supported by the National Football Museum and, shortly, an international partner. 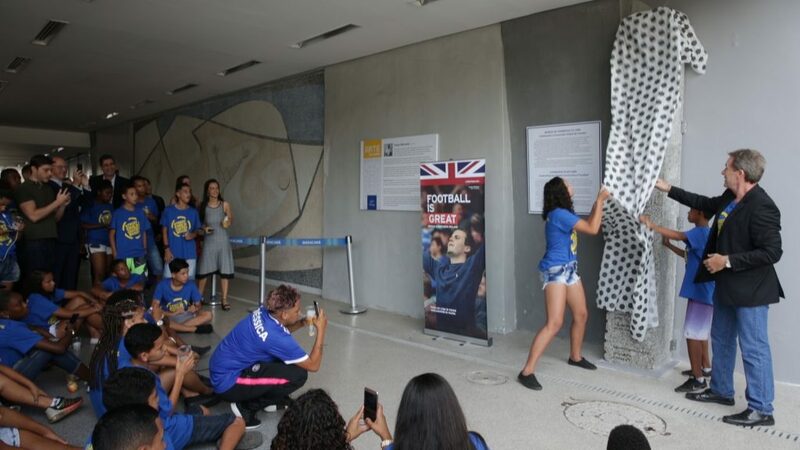 It commemorates the seismic moment at which football as we know it had formalised laws. First nailed to the trees surrounding Parker’s Piece in Cambridge by a group of the city’s University students in 1848, from there, the laws of the game spread to encompass every corner of the world. 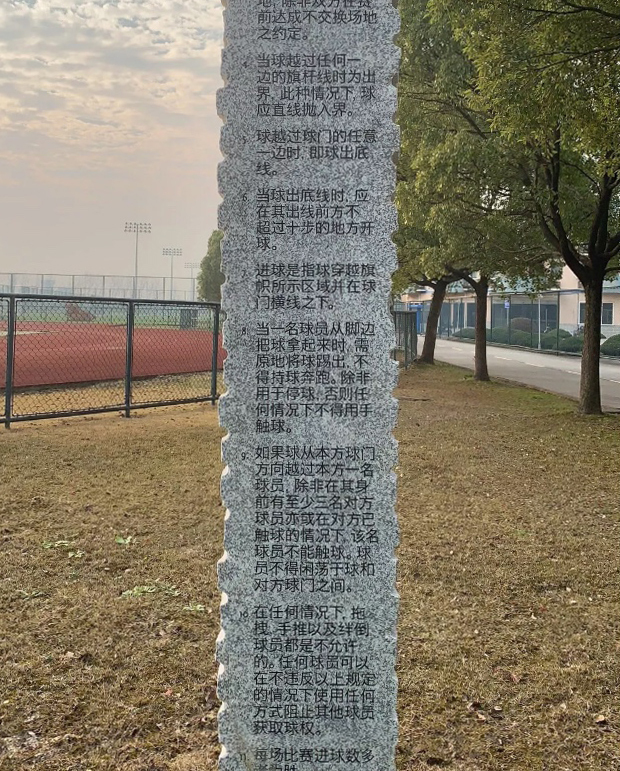 Artists Alan Ward and Neville Gabie will also mark this moment in physical form on Parker’s Piece with a large stone cut into nine, engraved with the original 1848 laws of the game in different languages. 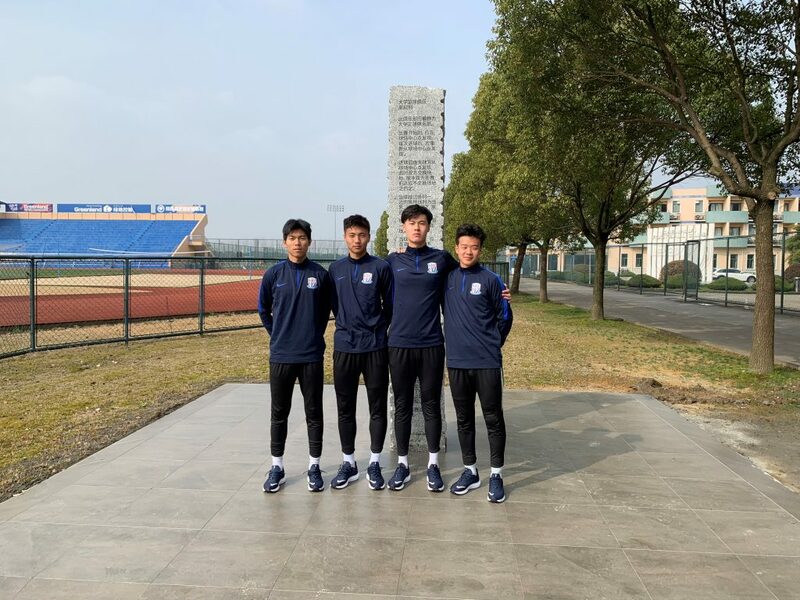 The four cornerstones stay on Parker’s Piece, the others travel to five football-loving countries across the planet in a cultural exchange. 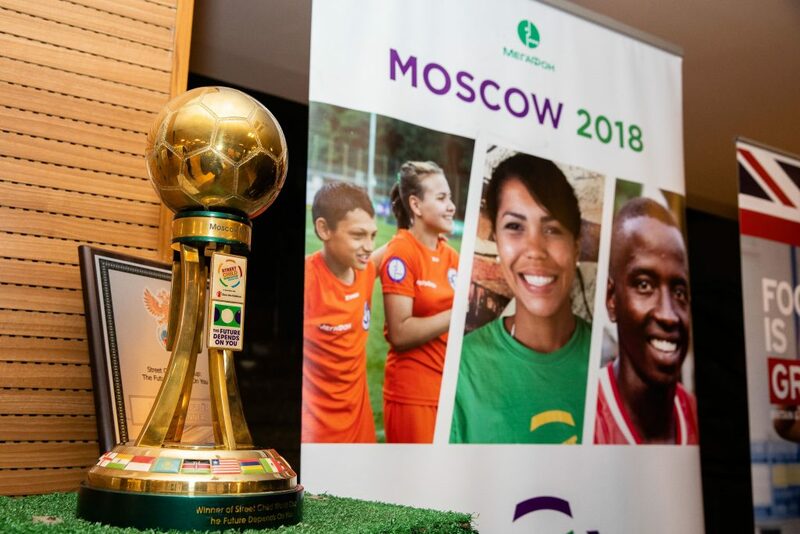 As the project continues, there will also be the chance for fans to upload their favourite football songs or chants, memorabilia and images of their local pitches. 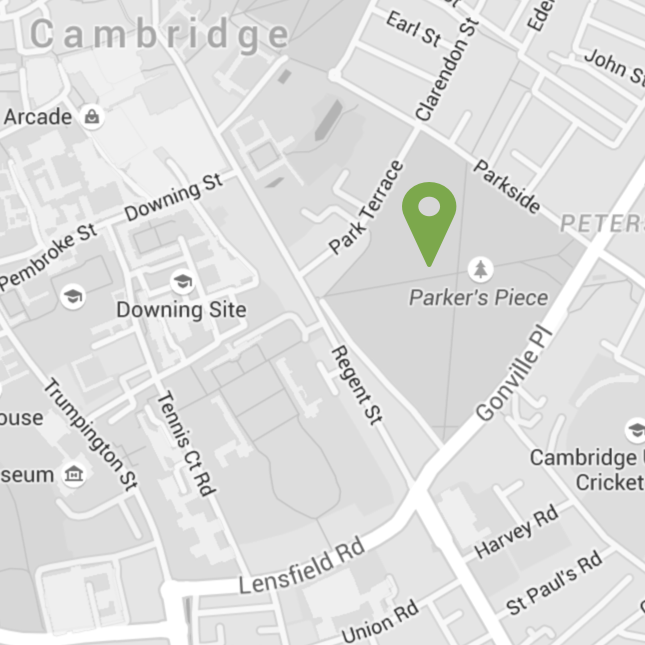 And in 2017, the football stories, images and sounds gathered from around the world will be displayed on Parker’s Piece – celebrating Cambridge’s role in the story of football – and will also be gathered together in a book.